This is an urgent ballot box alert. 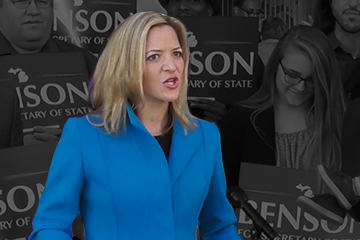 In a radical departure from the typical public servants each party tabs for their nominee for Michigan Secretary of State, Michigan Democrats this year selected Jocelyn Benson, one of the state’s most extreme left wing ideologues, and an individual whose professional career has been spent playing vicious partisan politics –including a stint working for an anti-conservative hate group. Worse, giant red flags exist over Benson’s character and association with felons previously caught committing election fraud. Michigan voters deserve a secretary of state who will make their lives easier when they go to renew their driver’s license, and an election director committed to running clean, fair elections. Someone who will play it right down the middle, and who has the integrity to leave politics at home. That’s clearly not Jocelyn Benson. 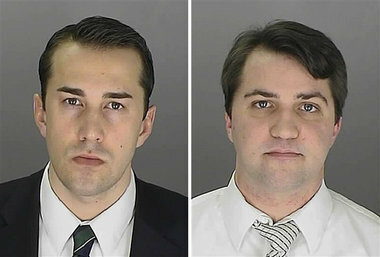 Benson represents a direct and immediate threat to election integrity in Michigan. Voters beware!